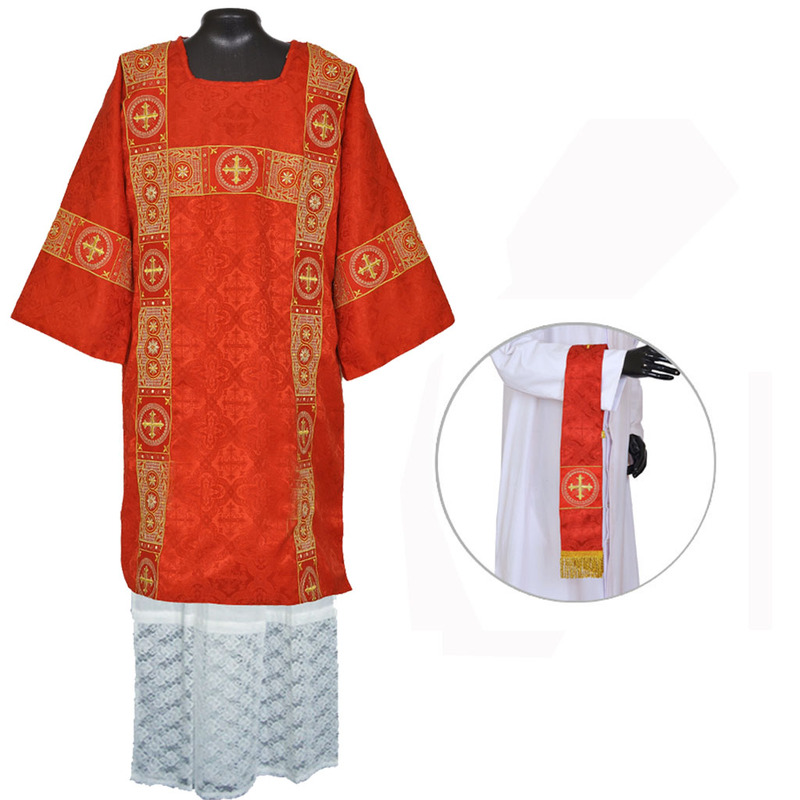 The vestment is made of Church Damask Fabric with Cross Designs. The orphreys are Embroidered with cross, wheat & floral designs in different colours of metallic gold yarn. 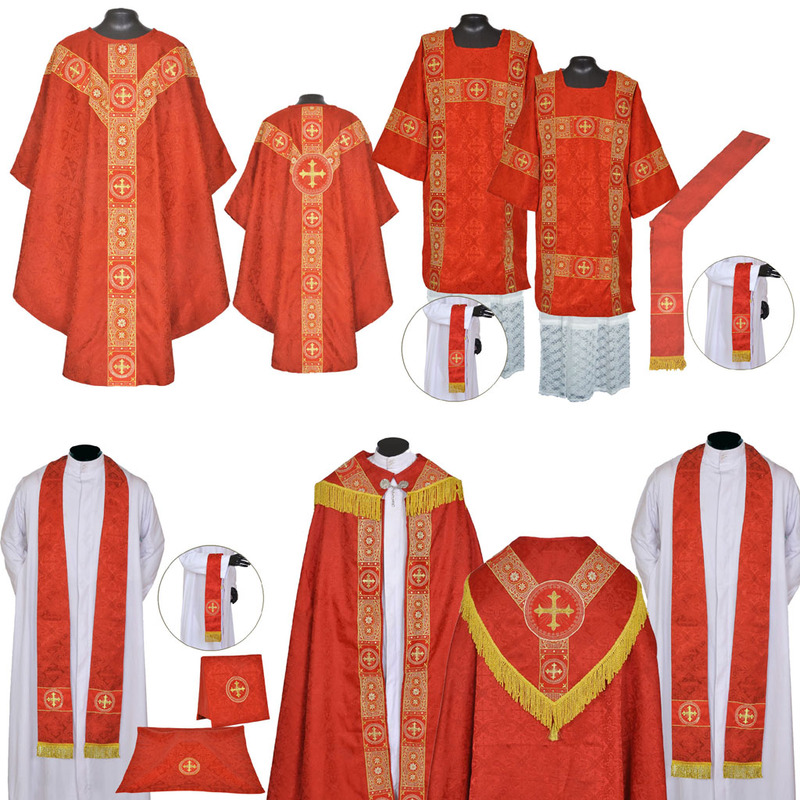 The Vestment comes with a matching stole, maniple, chalice veil & burse with matching cross embroidery. The stole has a small golden cross embroidered on the back of the neck. The ends of the stole & maniple are finished with fine rayon fringes.